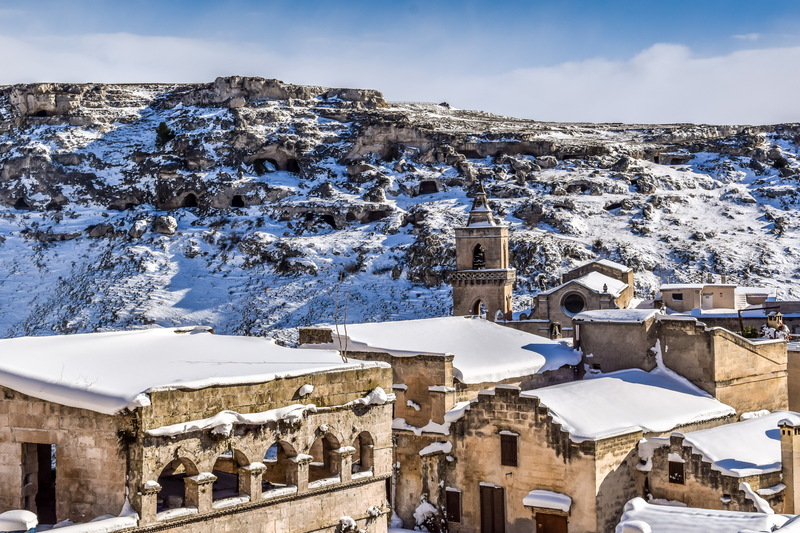 in the first half of January 2017 most of South Italy, especially Puglia and Basilicata, had been covered for many days by a thick, soft layer of snow. Of course, Matera was not an exception! That kind of snow hadn’t been seen here since 1981, some say since 1956! The show offered by the Sassi in these days has been really amazing. As you may remember, I don’t really like the usual comparison between the Sassi and the traditional Christmas’ Nativity Scene, but I have to admit that this time was quite right. 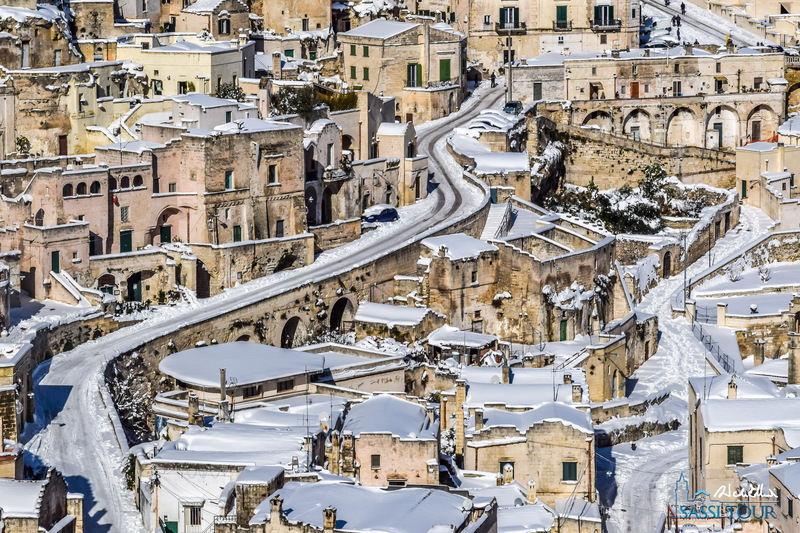 But to me, the truly fascinating thing was the way that shining white blanket highlighted the thousands of chaotic but geometric lines that create the unique urban fabric of the Sassi that you could admire. So, hoping this will please you, here’s a couple of pictures I shot myself. If you’d like to receive more contents on Matera, you can follow me on Social Networks and on my blog (only in Italian for now but stay tuned!). If you left Matera with good memories and you think I helped you on that, I hope you’ll want to leave me a good review on Trip Advisor. On my Facebook page you’ll find most of what I put on my blog, and even more. The best or most curious pictures and videos end on my Instagram account. Just two minutes of your time, but your good reviews will really make a difference for me!